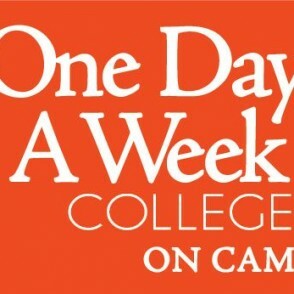 Is The One Day A Week Saturday Program accredited? Yes, Bay Path University, including its One Day A Week Saturday Program, is accredited by the New England Commission of Higher Education (NECHE). How quickly can I finish my bachelor's degree in this program? It depends on how many credits you are able to transfer in from prior institutions. If you are seeking a bachelor's degree and could transfer in the maximum of 90 allowed credits, you would need to complete only 30 more credits to earn a bachelor's degree. As a full-time student in this accelerated program, you could do this within one year. If you are starting with few or no transfer credits, you can still complete your bachelor's degree more quickly than at many colleges. You can complete all 120 credits in our accelerated program in less than 3 1/2 years. How many of my past credits will you take? We make every effort to make all your past credits count - even credits earned years ago. To transfer credits, they must come from an accredited institution, be from 100-level or higher classes, and be a grade of C - or higher. Your Admissions Counselor will be happy to review your transcripts and estimate the number of credits you can transfer. Am I too old to go back to college and earn my degree? You are not too old to return to college! Women across the entire age spectrum are enrolled in our degree programs - and in both on-campus and online classes. Do you offer any scholarships or tuition discounts? Yes, every applicant who files an application for financial aid is reviewed for all available Bay Path or Massachusetts state scholarships for which she may qualify. If you are an active or retired military service member - or a spouse - you qualify for our discounted tuition of $350 per credit. What time are One Day classes held on Saturdays? Can I bring my child to class in a pinch? It is not permitted to bring children with you to your One Day A Week Saturday classes. If you need more flexibility in this regard, you may be a good candidate for our online classes at The American Women's College. What if I have to miss my first class? It is essential that you attend the first class session of each class you are enrolled in. If you think you cannot, please talk with your admissions counselor or academic adviser as soon as possible. What school name will be shown on my diploma? You diploma will show that you are a graduate of Bay Path University! How can I estimate the total cost of my degree? Once you know how many credits you'll need to take to complete your degree, you simply multiply the number of credits by the cost per credit of $400. For example, if you had zero credits to transfer in, you would need 120 more credits for the bachelor's degree. Therefore, you would pay 120 (credits) x the per credit cost ($400) for a total cost $48,000. If you could transfer in 60 credits, you would pay half that cost. 60 (credits) x $400 (per credit cost) = $24,000. Beyond that, you'll need to plan for the costs of textbooks and perhaps a lab fee or two. However, the university makes every effort to minimize the use of costly textbooks and avoid fees whenever possible.